The New York Yankees have enjoyed great success against the American League Central Division this season. They'll get two more chances to continue their dominance on Monday. The Yankees play a day-night doubleheader at Detroit's Comerica Park. They have a 10-1 record against Central Division teams, including a win in their lone game against the Tigers, so far this season. The Tigers will complete a season-high 12-game homestand with the makeup doubleheader. In the Yankees' only scheduled trip to Detroit in mid-April, two of the three games were washed out by rain. New York is 20 games over .500 and looking to extend its current four-game winning streak. "I think we do have a really good team," Yankees manager Aaron Boone said. "I also consider it very early in the season. A long way to go and a lot of things have to happen for us to be the kind of team we want to be. There's still a lot of areas where we can continue to improve." 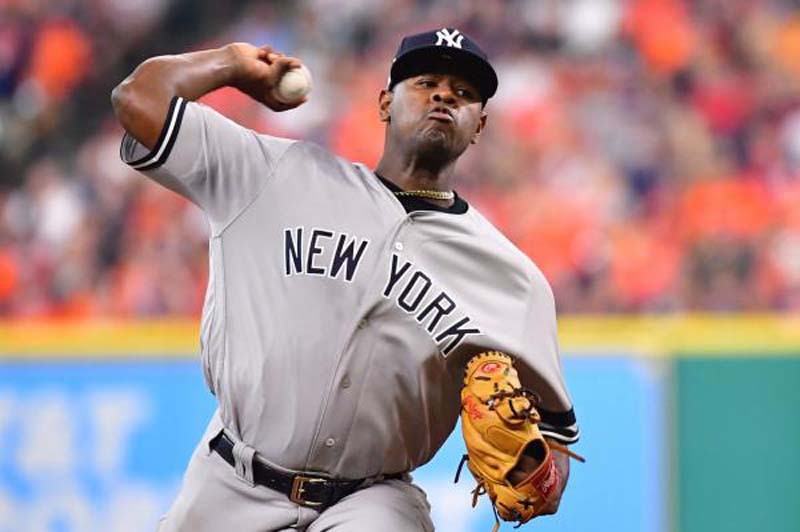 Yankees ace Luis Severino will seek to stretch his personal winning streak to seven games in the first game. Severino has limited the opposition to three runs or less in each of his last nine starts. His outing against defending champion Houston on Wednesday was one of his most overpowering performances. He held the Astros to two runs on four hits and tied his season high with 11 strikeouts. In three career outings against Detroit, Severino is 2-1 with a 2.70 ERA. Domingo German (0-3, 5.45 ERA), the Yankees' other starter on Monday, will seek his first career victory. German was scheduled to start on Sunday in Baltimore but the game was postponed by rain. He has never faced the Tigers. He took the loss in his last start on Memorial Day, allowing three runs (two earned) and five hits in 5 2/3 innings to the Astros. New York slugger Giancarlo Stanton broke out of a long-ball slump on Saturday with a two-run homer. He hadn't gone deep since May 19. "Anyone can put a good game or two together," Stanton told MLB.com. "I need good weeks. Good months. But it's all right. You've got to stay positive and that's a good way to start it." Mike Fiers (4-3, 4.45 ERA) and Sandy Baez will start the doubleheader for Detroit, which saw its four-game winning streak snapped by Toronto 8-4 on Sunday. Fiers is winless in his last three outings, though he held the Los Angeles Angels to one run on seven hits in 5 2/3 innings on Wednesday. Fiers got pounded by the Yankees on April 13, when he surrendered six runs (five earned) on eight hits over 5 2/3 innings. Aaron Hicks homered twice off him, including an inside-the-park scamper. Fiers is 0-1 with a 6.20 ERA in four career starts against New York. Hicks has been hot lately as well. He's batting .340 with two home runs and eight RBIs over his past 13 games. Baez will make his major-league debut after being called up from Double-A Erie. Baez has made 10 starts this season and is 0-4 with a 3.90 ERA with the minor league club. His record is partially due to some tough luck, as he's given up two or fewer runs in half of his starts. The 24-year-old right-hander's last outing was his best this season, as he held Binghamton to two runs on two hits over seven innings on Tuesday.